Arizona golf courses offer many choices, so here’s the Arizona Golf Authority “Crash Course” for the traveling golfer. Calculate the time you can squeeze into your schedule and match it to this short list of must-play venues. 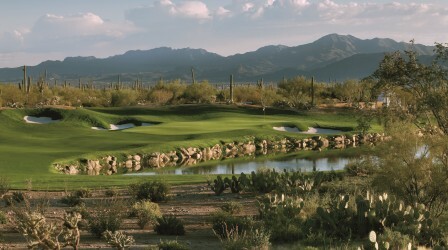 Just click on the golf course and read the “Insider’s AZGA Arizona Golf Course Review”. All 350-plus Arizona golf courses are reviewed in our Arizona Golf Course Reviews, but this AZGA Short List will help you match the time you have available with the best Arizona golf courses to play. More time for golf in Arizona means more choices about where to play. 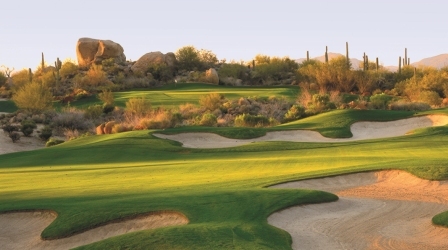 Add these courses to your rota and you will experience another serving of world class golf in the stunning desert settings that Arizona is famous for..
Stay in the Phoenix and Scottsdale metro area and make these individual 1-day round-trip events. Or, book a night on the road and string them together. Here’s the AZGA Short List Trip: Play the Boulders, a stellar North Scottsdale offering on the way out of town, drive to Sedona for mother nature’s “red rocks at sunset” show and grab a room for the night. Sedona Golf Resort deserves two tours, 36-holes, the next day. 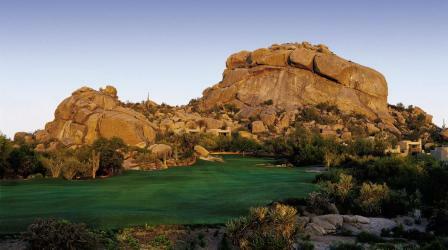 Or, play 18 at Sedona and catch Los Caballeros in Wickenburg, AZ on the drive back to the Valley. You’ll be glad you did.